Alannah began learning the harp at the age of eight and three years later was awarded a scholarship to attend the Victorian College Of The Arts Secondary School, studying with Julie Raines (Principal Harp, MSO). Alannah went on to complete her Bachelor of Music Performance at the Victorian College Of The Arts. In 2002 she won an entrance scholarship to the Royal Academy of Music in London where she studied with Skaila Kanga and Charlotte Seale. 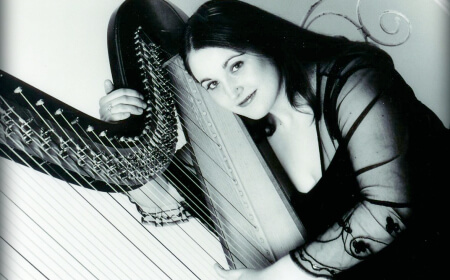 While there, Alannah performed in many concerts and master classes and was successful in winning the biannual Guy McGrath Harp Prize. The same year Alannah won the Major Award from the Australian Music Foundation. She has worked professionally with the Melbourne, Adelaide, West Australian and Tasmanian Symphony Orchestras, Orchestra Victoria, the Australian Opera And Ballet Orchestra, and the Australian Pops Orchestra, played in film soundtracks and CDs, and recorded a recital for the ABC Classic FM Young Performers program. 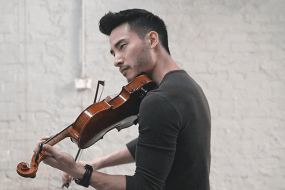 She has been entertaining at weddings and corporate functions for over ten years and performs from an extensive repertoire that includes music from most genres â€“ baroque, classical, contemporary, folk, jazz, musicals, romantic harp music and popular love songs.